The information provided by Premier MRI | CT on this site or by any links to this site is for educational and entertainment purposes only and should not be interpreted as a recommendation for a specific treatment plan, product, course of action or medical or healthcare provider. 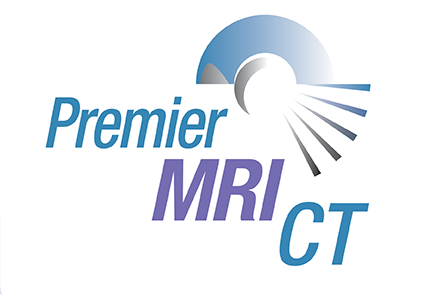 Premier MRI | CT's web site does not provide specific medical advice and does not endorse any medical or professional service obtained through information provided on this site or any links to this site. Use of Premier MRI | CT's web site does not replace medical consultations with a qualified health or medical professional to meet the health and medical needs of you or a loved one. You exercise your own judgment when purchasing any product or selecting a physician through any site or service linked to this web site. In addition, while Premier MRI | CT frequently updates its contents, medical information changes rapidly and therefore, some information may be out of date, and/or contain inaccuracies or typographical errors. License. We hereby grant you the right to view and use this web site subject to the terms and conditions of this Agreement. You may download and/or print a copy of information provided in this web site for your personal use only. Permission to reprint or electronically reproduce any document or graphic in whole or in part for any other purpose is expressly prohibited, unless prior written consent is obtained from the respective copyright holder(s). You may contact us at 29275 Northwestern Hwy., Suite 175, Southfield, MI 48034. Warranty Disclaimer. In our content areas this information is provided for educational and entertainment purposes only and should not be interpreted as a recommendation for a specific treatment plan, product or course of action. The content areas should not be looked upon for specific medical advice for you. We and our suppliers assume no responsibility for how you use the information provided through this Service. You should always seek the advice of your physician or other qualified health provider prior to starting any new treatment or with any questions you may have regarding a medical condition. The Information on this Site is Provided "As Is". We and our suppliers make no representations or endorsement about the suitability for any purpose of products and services available through this Service. We and our suppliers do not guarantee the timeliness, validity, completeness or accuracy of information made available to you for any particular purpose. We and our suppliers disclaim all warranties and conditions, either express or implied, including, but not limited to, implied warranties of merchantability, fitness for a particular purpose, title, and non-infringement, with regard to the products, services and information contained on or made available through this Service, including but not limited to the availability of this Service, lack of viruses, worms, Trojan horses or other code that manifest contaminating or destructive properties, or any failure to provide the service. Although our suppliers or we may update the content on this Service from time to time, please note that medical information changes rapidly. Therefore, some of the information may be out of date and/or may contain inaccuracies or typographical errors. Indemnification. You agree to indemnify, defend and hold harmless Premier MRI | CT, its officers, directors, employees, agents, information providers, partners, advertisers and suppliers from and against all losses, expenses, damages and costs, including reasonable attorney's fees, resulting from any violation of this agreement or any activity related to your account (including infringement of third parties' worldwide intellectual property rights or negligent or wrongful conduct) by you or any other person accessing Premier MRI | CT using your service account. Waiver, Release and Limitation of Liability. You agree that neither Premier MRI | CT, nor its officers, directors, employees, agents, information providers, partners, advertisers or suppliers shall have any liability to you under any theory of liability or indemnity in connection with your use of Premier MRI | CT. You hereby release and forever waive any and all claims you may have against Premier MRI | CT, its officers, directors, employees, agents, information providers or suppliers (including but not limited to claims based upon the negligence of Premier MRI | CT, its officers, directors, employees, agents, information providers, partners, advertisers or suppliers) for losses or damages you sustain in connection with your use of Premiermri.us. Notwithstanding the foregoing paragraph, the total liability of Premiermri.us, its officers, directors, employees, agents, information providers, partners, advertisers and suppliers, if any, for losses or damages shall not exceed the fees paid by the user for the particular information or service provided. In no event shall Premier MRI | CT, its officers, directors, employees, agents, information providers, partners, advertisers or suppliers be liable to you for any losses or damages other than the amount referred to above. All other damages, direct or indirect, special, incidental, consequential or punitive arising from any use of the information or other parts of Premiermri.us are hereby excluded even if Premier MRI | CT, its officers, directors, employees, agents, information providers, partners, advertisers or suppliers have been advised of the possibility of such damages. Neither Premier MRI | CT nor any of its affiliates, directors, officers or employees, nor any third party vendor will be liable or have any responsibility of any kind for any loss or damage that you incur in the event of any failure or interruption of this site, or resulting from the act or omission of any other party involved in making this site or the data contained therein available to you, or from any other cause relating to your access to or your inability to access the site or these materials, whether or not the circumstances giving rise to such cause may have been within the control of Premier MRI | CT or of any vendor providing software or services support. Third Party Rights. The provisions of paragraphs 8 (Indemnification) and 9 (Waiver, Release and Limitation of Liability) are for the benefit of Premier MRI | CT and its officers, directors, employees, agents, licensors, suppliers, and information providers. Each of these individuals or entities shall have the right to assert and enforce those provisions directly against you on its own behalf. User Representations. You represent and warrant that you are at least 18 years of age and that you possess the legal right and ability to enter into this Agreement and to use Premier MRI | CT in accordance with this Agreement. You agree to be financially responsible for your use of Premiermri.us (as well as for use of your account by others, including minors living with you) and to comply with your responsibilities and obligations as stated in this Agreement. Miscellaneous. This Agreement shall be governed by and construed in accordance with the laws of the State of Michigan, without regarding provisions relating to conflicts of law. You agree that any legal action or proceeding between Premier MRI | CT and you for any purpose concerning this Agreement or the parties' obligations under this Agreement shall be brought exclusively in a court of competent jurisdiction sitting in Wayne County, Michigan, United States. Any cause of action or claim you may have with respect to Premier MRI | CT must be commenced within one (1) year after the claim or cause of action arises. Premier MRI | CT's failure to insist upon or enforce strict performance of any provision of this Agreement shall not be construed as a waiver of any provision or right. Neither the course of conduct between the parties nor trade practice shall act to modify any provision of this Agreement. Premier MRI | CT may assign its rights and duties under this Agreement to any party at any time without notice to you.